Imperial law enforcer Amaranthe Lokdon is good at her job: She can deter thieves and pacify thugs, if not with a blade, then by toppling an eight-foot pile of coffee canisters onto their heads. But when ravaged bodies show up on the waterfront, an arson covers up human sacrifices, and a powerful business coalition plots to kill the emperor, she feels a tad overwhelmed. Worse, Sicarius, the empire's most notorious assassin, is in town. He's tied in with the chaos somehow, but Amaranthe would be a fool to cross his path. Unfortunately, her superiors order her to hunt him down. 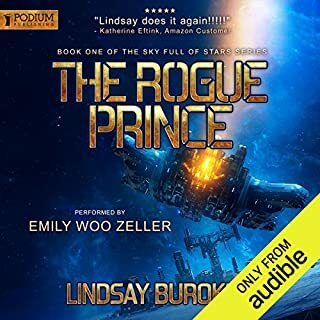 Starseer, pilot, and animal lover Jelena Marchenko wants to prove to her parents that she's ready to captain her own freighter and help run the family business. When she finally talks them into getting a second ship and letting her fly it, it doesn't faze her that the craft is decades old and looks like a turtle. This is the chance she's craved for years. But it's not long before the opportunity to rescue mistreated lab animals lures her from her parentally approved cargo run and embroils her in a battle between warring corporations. When Delia chose to major in archaeology, she didn't imagine herself scrounging for pickaxes and gold pans to sell on auction sites. What she doesn't imagine is stumbling across a decapitated body in an old mine near Prescott. Something dangerous has come to the mountains, and two Harley-riding strangers are the only ones who seem to have a clue. They speak a language Delia has never heard and carry mysterious artifacts she's never seen. Investigating these strangers might lead her to discoveries that change archaeology forever. Archeologist/Scavengers, Techie, Aliens, Tennis Pro and Monster. Maia and her family raise dragons for the political war machine. As she comes of age, she anticipates a dragon of her own to add to the stable of breeding parents. Her peaceful life is shattered when the Summer Dragon - one of the rare and mythical High Dragons - makes an appearance in her quiet valley. Political factions vie for control of the implied message, threatening her aspirations, her aerie, her entire way of life. 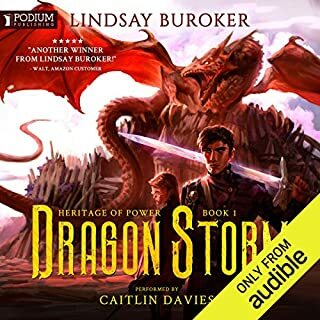 The city of Peradain is the heart of an empire built with steel, spears, and a monopoly on magic...until in a single day it falls, overthrown by a swarm of supernatural creatures of incredible power and ferocity. Neither soldier nor spell caster can stand against them. The empire's armies are crushed, its people scattered, its king and queen killed. Freed for the first time in generations, city-states scramble to seize neighboring territories and capture imperial spell casters. Sacrifice. The single act capable of bringing both death and life simultaneously. Thannuel Kerr is handsome, young, and brash, fumbling through childhood toward his inevitable inheritance: the next Lord of the Western Province. He struggles to accept his arranged marriage and to grow into the man he must become. The journey toward that end, however, is fraught with more peril than he could possibly imagine. Rhona and her paladin brother, Alastar, belong to a holy people who have waged war on witches and warlocks and their clans from the highlands. But when she uses magic to save his life, their world is thrown upside down. On the run, having left all they knew behind, they have to rely on those who hate Paladins. All magic is evil, the High Paladin taught... but Alastar starts to understand that he might have been mislead. Many different clans and groups roam the world trying to eliminate other magic users and people. The greatest military leader of his time. The most talented code breaker her people have. Sworn enemies. When deadly secrets from the ancient past are unearthed, secrets capable of fracturing the world and destroying all life on the planet, these two enemies will have to work together. They are humanity's only hope. 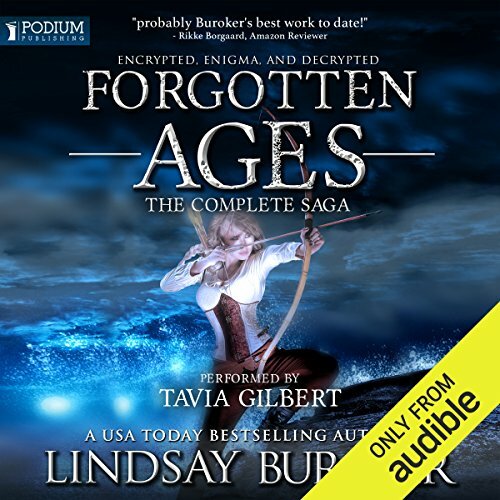 Forgotten Ages is recommended for fans of epic fantasy, action-adventure, mystery, and romance. First, the bad, there are some breaks in logic. They are not glaring, but they do sadly go down the path of....well, she is just an emotional women, it can be excused....so, I felt it necessary to comment on that. It doesn't take away from the story(s), but they do drop the intelligence level. Also, the main topics of each book vary widely. So, if you are anticipating a connected story from beginning to end...well, all you really get are the same characters. The characters are slightly 1 dimensional, but nothing too horrible. For these points, I subtracted stars. Now, the good, its an enjoyable listen. The story flows, its interesting, and topics are generally cool to think about. Conclusion, its worth a credit, but don't expect something brilliant. What made the experience of listening to Forgotten Ages the most enjoyable? The story is fun. 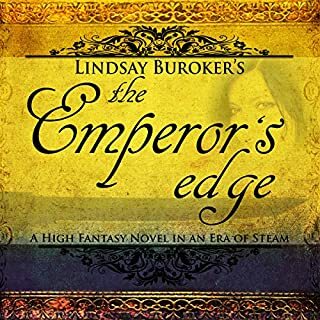 A mix between fantasy, scifi, and steampunk, it is an enjoyable ride that keeps one invested in the likable and down-to-earth main characters. Descriptions of different countries and peoples are well developed and vivid, you can really picture this world. I didn't really have a favorite character, they were all well-developed and sketched. You really did get a feel for each person in the book. Rias and Tikaya were a great couple. There was no use of miscommunication drama and not knowing if they liked each other. There was a base of mutual respect and admiration between the two that was refreshing and realistic. This collection had two books and a novella, so there were a lot of scenes. I can't think of a favorite but they were all well described. I could see the snowy north and deserted town in book 1, and the tropical island in book two. You really felt enveloped in these worlds. I laughed a couple of times but no extreme reactions. It was a great fun and breezy listen, made the commute enjoyable and kept my mind occupied with a fun world filled with many details and peoples. It was definitely an escape from the everyday and I would listen to it again. 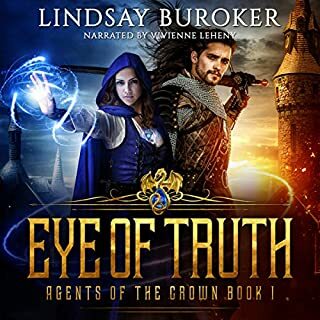 A wonderful adventure/romance set in a colorful world. Main character Tikaya is a prisoner for the entire book, but she is neither helpless nor overconfident/overpowered. I found her very believable. Rias is a little too perfect, and I wish that I understood him a bit better. Their relationship was touching. The technology in this story is totally random and doesn't make much sense, but I don't care. The cultures are fascinating and not at all superficial copies of real world cultures. I wish I knew more about them Books rarely do this well, and it's an aspect of both sci-fi and fantasy I love dearly. All and all a great book. Didn't do anything for me. It wasn't bad, but it seemed like a part of a much longer story that never gets told. The ending is resolute but not satisfying. I read that this is a sort of prequel to another series, so maybe it gets covered elsewhere. Upsetting. In this book, Tikaya takes Rias back to her peaceful island nation to meet her family. The police immediately put a shock collar on him and proceed to torture him as he walks around her house chatting with her family. It is such a jarring combination of subtle character moments randomly interrupted by *torture* *torture* *torture. * Tikaya just keeps on chatting about her childhood memories. I would be curled in a corner crying hysterically if my boyfriend was being tortured on my kitchen floor. Tikaya is both useless and helpless here. There are also some really poorly written caricatures in this book. Everyone on the island hates and fears Rias, and yet Tikaya's one note "slutty" cousin walks up and puts her hand down his pants. Apparently she sleeps with 3-4 farm workers every night? Buroker should be ashamed of writing this kind of one dimensional, nonsensical character into the story. It's offensive and it's cheap. I loved the first book so much that I am having a hard time abandoning the second, but it's painful to read. This is a combination of magic, steam punk, adventure, and romance. It's a fun read and worth the wait time. This was a fun read. I really didn't know what to expect when I got this book. Sometimes it was just a little cookie cutter, but at other times it was quite novel, and had twists and turns i didn't expect. The narration was great. I've not read Lindsay Buroker, nor listened to Tavia Gilbert before, but will definately look out for them again. I really wasn't expecting this book to be any good but I really enjoyed it. The story was great and the action-adventure was non stop. There is even a bit of romance. 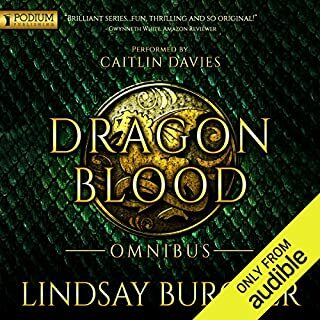 I really enjoyed listening to this audio book (1-3) it was so cool and the characters voices were very easy to get me involved in the story great job. Lovable characters, vivid descriptions, and intense narration make this a wonderfully compelling tale. I love that all three books were offered as a bundle. I'd love it more if there is another tale in this series! Hint. Hint. Got this book on a Monday morning and never looked back. Story is fast paced and the performance by Tavia Gilbert was one of the best I had played for some time. Not her best work the story is predictable and slow. 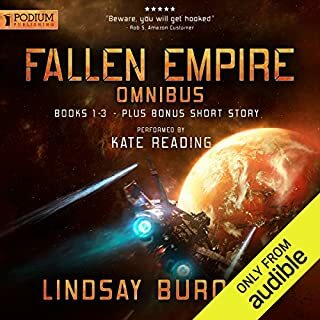 Narrator does the best with what she has though and overall was ok but not that exciting. great book with a very entertaining story. really enjoyed this book : adventures, puzzles, romance and travel - the book has it all. A fun first book. Easy listening, couldn't put it down. Second ok, third slow starting. the narrator was a bit hyper at times which got annoying, but otherwise was good at voices. no swearing or blasphemy so five stars for that. somewhat surprisingly gory in places for a lighthearted romance. but all ended very well. This was a struggle to get through despite the consistant and well executed characterisations and narrative performed by Tavia. I really wanted to like this series, the ingredients were all there but the writing and characterisations were clunky. I've never rolled my eyes at a book, but I did several times in this. the leads had the potential to rival Jamie and Claire but barely scrape through as a pale, made for TV version of them. Repetetive exposition, conflicting or unbelievable chatacter motivations or choices, unnecessary complications for very little pay off. I cannot recommend this series.